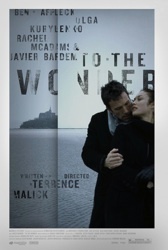 I want to be able to recommend Terrence Malick’s To the Wonder, but cannot in good conscience do that. Even if you are a fan, like me, prepare to be frustrated. Have you ever been sad and laid on the floor for five minutes (please say yes)? To the Wonder feels mostly like that. The plot in brief: Neil (Ben Affleck) is an American traveling in Paris who meets and falls in love with Marina (Olga Kurylenko), a woman raising a 10-year old daughter. During their whirlwind romance, Neil invites the two ladies to move back to Oklahoma with him. They all go. In Oklahoma, Neil is some sort of an environmental inspector and Marina spends her time getting herself (and her daughter) acclimated to their new life in the US. After a while, their relationship deteriorates. Neil’s old girlfriend Jane (Rachel McAdams) then re-enters his life. 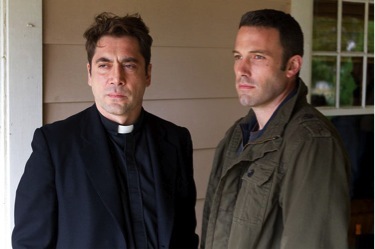 In the B-story, a Catholic priest named Father Quintana (Javier Bardem) is having a crisis of faith. To the Wonder deals heavily with unrequited love. Actually, it’s more like unrequited devotion. The priest feels he’s not getting devotion back from G-D or Jesus; Marina is endlessly devoted to Neil, who is cold to her once the initial spark goes out. The problem with this is in its presentation. Whereas in The Tree of Life there are scenes involving dialogue that draw you into the drama, To the Wonder deals almost exclusively in breathless narration that almost always undercuts what you are seeing. A picture might be worth a thousand words, but a leaden chunk of narration can ruin the visual mystique. The Tree of Life is a good place to start. It was my number two movie of 2011. The whole middle section of that movie (with the kids, Brad Pitt and Jessica Chastain) really got under my skin. I felt like I was uncomfortably a fly on the wall of this family’s life. To the Wonder should feel like that, but insteadfeels a lot more like the end of The Tree of Life, where you are up artist’s creek without a compass. I don’t know why Malick is so intent on alienating his audience in his movies. In the name of capital ART he is sacrificing what should be great drama. Another movie To the Wonder reminds me of, to Malick’s detriment, is 2001: A Space Odyssey. To the Wonder deals with long stretches of gorgeous photography by Emmanuel Lubezki (who also was the cinematographer for Children of Men, Sleepy Hollow and The Tree of Life) and more relaxing classical music than you can shake a fist at. Just like in 2001: A Space Odyssey, there are no uninteresting shots in To the Wonder. In both cases, Kubrick and Malick want you to have an emotional experience first and an intellectual one second. The long stretches of music and images without plot progression are intentional, because they want you to feel first and then have extra time to bring your own thoughts to the movie. In 2001, this is exceptionally rewarding -- I’ll ponder existence, space, man’s place in the grand scheme of things, what happens to us after we die, etc. In To the Wonder I trail off and think things like "Does Terrence Malick think HE’S G-D?" (more on that later) and "I have no sympathy for Ben Affleck’s character -- "Boo hoo! Olga OMG Kuyrlenko loves me too much." Let’s talk about Olga Kuylenko. First of all, To the Wonder is her showcase unlike any movie she’s been in before. Ben Affleck, Rachel McAdams and Javier Bardem barely make an impact (mostly due to Malick’s direction and editing decisions), while Kurylenko is the whole show. Besides "Hubba hubba ding ding, baby you’ve got everything," she is really good here. This is the type of performance that makes you go back and reconsider your opinion of her. The trouble with Kurylenko is that she’s been in movies where she’s given very little to do (Hitman, Quantum of Solace, Oblivion). Here, in mostly a silent performance, she is very expressive and loose. It seems very natural and not like a series of calculated acting decisions. 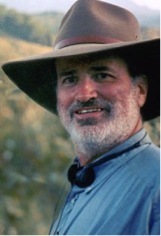 Okay, now for the elephant in the room: Terrence Frederick Malick. To the Wonder is supposedly based on his own life experiences. Malick, like Affleck’s character, had a relationship with a woman in France, married her and moved back to Texas with her. They later divorced and Malick reconnected with an old girlfriend. The movie and the true life story diverge some, so don’t consider this a spoiler. That sounds like a great story for a movie, but Malick messes it up in four ways. A) He doesn’t give enough time to the opening romance, so we don’t know why Neil loves Marina and vice versa. In fact, I don’t know why Neil loves anyone. He doesn’t seem too into the proceedings. More importantly, we rarely have any focused idea why the couple is fighting and unhappy. B) The story is told from the women’s point of view (Kurylenko and McAdams), which robs the story of the personal element. Malick should know how Affleck feels, but he treats him as a cipher while he pontificates what was going through the minds of the women he has romanced and C) The character Neil is obviously the Malick stand-in. The second story of the priest mirrors the romance, so it comes across as Javier Bardem and Olga Kurylenko are the women wondering why their "men" (G-D & Jesus/Ben Affleck & Terrence Malick) don’t love them like "she" loves "him." So Malick has made himself equal to G-D. I felt bored, frustrated and momentarily wowed during To the Wonder. In ranking Malick’s movies, I like this and The New World the least. It’s a movie that could have been great and had something personal and worthwhile to say. Alas, it is not any of those things. Better luck next time. To the Wonder is available On Demand, on iTunes and in limited release in theaters. Awww, bummer, I consider myself a Malick fan and I thought The Tree of Life was great - a sumptuous feast for the eyes with a healthy assortment of appetizers for the mind/soul. Sounds like this one has a good dose of the former and not much of the latter. I'll give it a rental on blu-ray for the full visual impact but won't expect too much! Good review, Adam, it seems very fair. I'm sort of indifferent towards Terence Malick. I love Badlands a lot, I like Days of Heaven and The Thin Red Line, didn't see The New World, and actually really liked The Tree of Life (I liked maybe the first 110 minutes, before it got too "artsy" for its own good. I even loved the beginning of time stuff. It was beautiful to look at and pretty awe-inspiring). I think you're pretty spot on about Malick. Thanks for commenting!